That is one of the best reactions to being rescued I've ever seen. 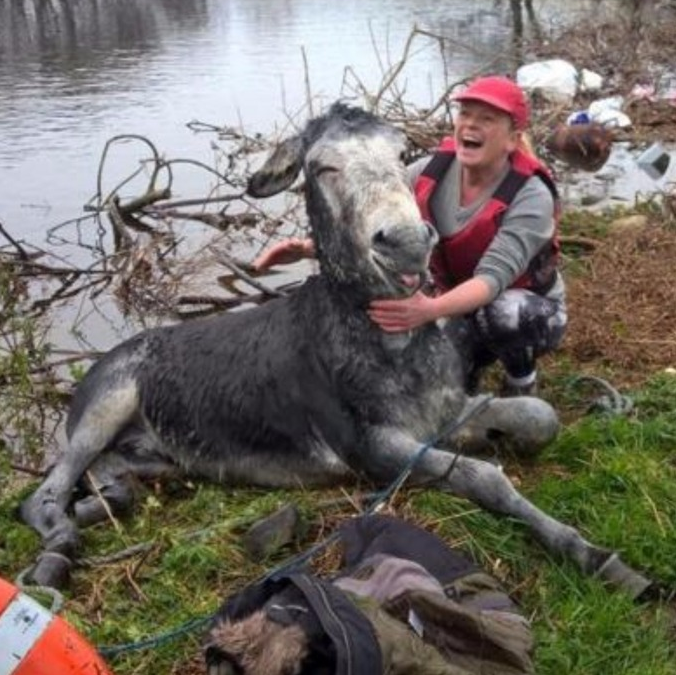 Despite torrential downpours, one lucky donkey in Ireland gets a second chance at life after a daring rescue, but it was his reaction to the ordeal that really got him noticed. 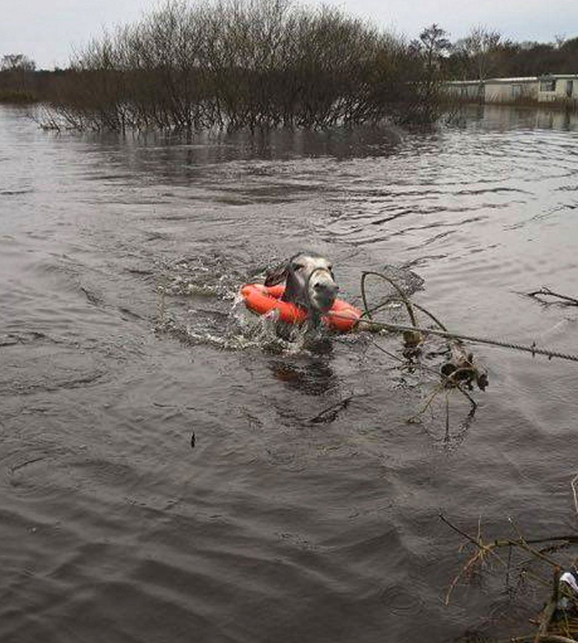 In early December, many portions of the United Kingdom, Ireland and the Scottish Borders were devastated by Storm Desmond, the fourth major storm of the UK and Ireland windstorm season. 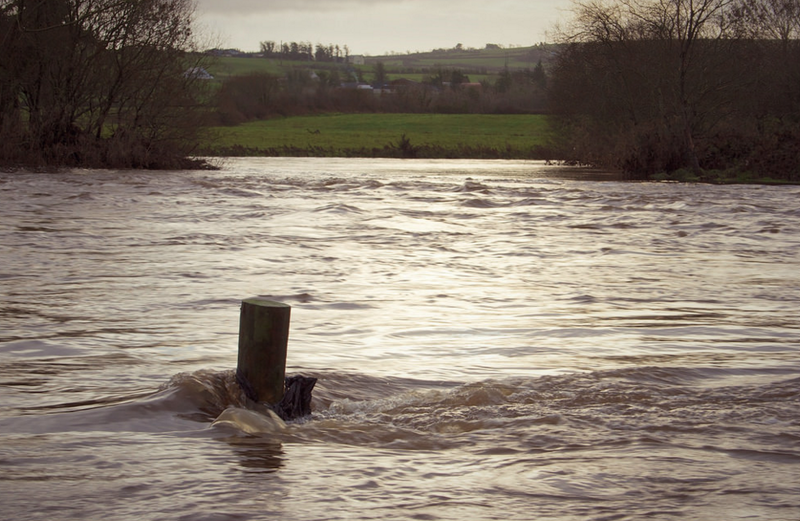 Storm Desmond brought record amounts of rainfall to many areas, causing widespread flooding and damage. 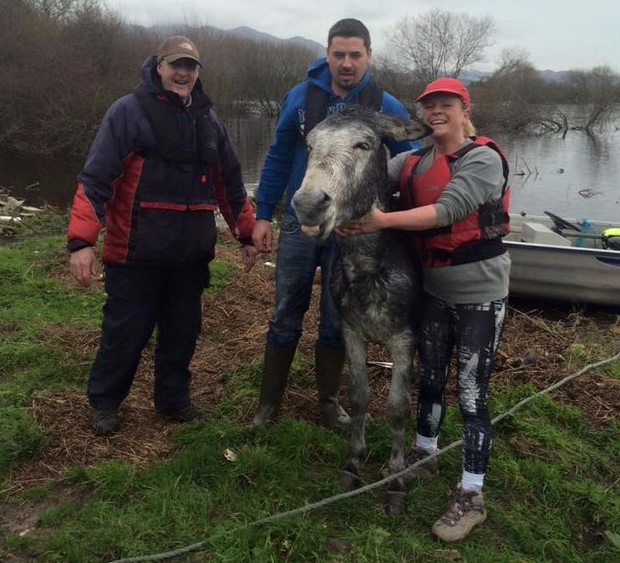 For one poor donkey in the fields of Killorglin, Co Kerry, Ireland, Storm Desmond damaged his gate and swept him into the swirling flood. It wasn’t until the next morning that he was discovered in a field nearby, surrounded by deep water. 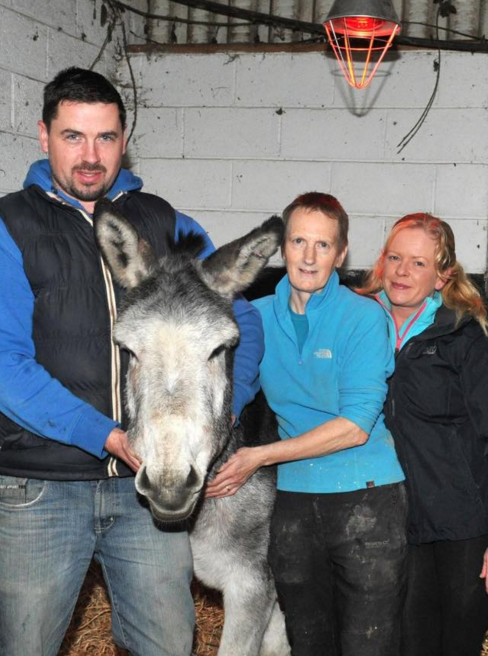 Once the donkey’s owners realized where he was, they contacted the Animal Heaven Animal Rescue (AMAR) for emergency help. Suzanne Gibbons, founder of the shelter posted, “Code red. Today’s emergency. Please help me. 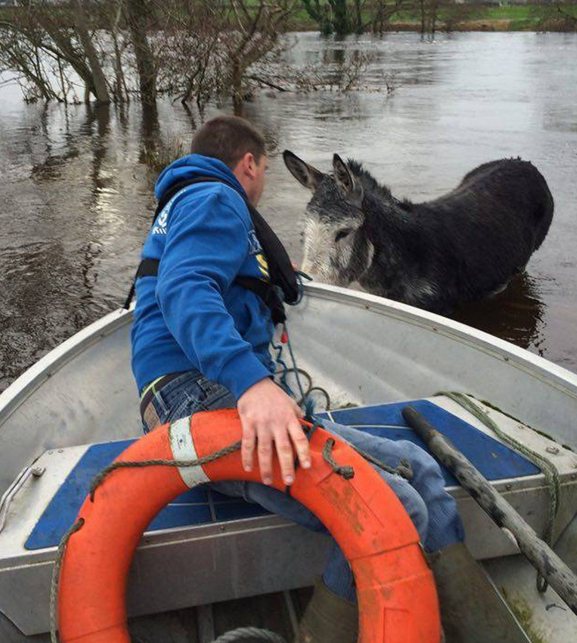 There is a donkey stranded in deep flooding in Killorglin. I need a boat and men to help. I have ropes etc. Please get me help,” on AMAR’s Facebook Page. 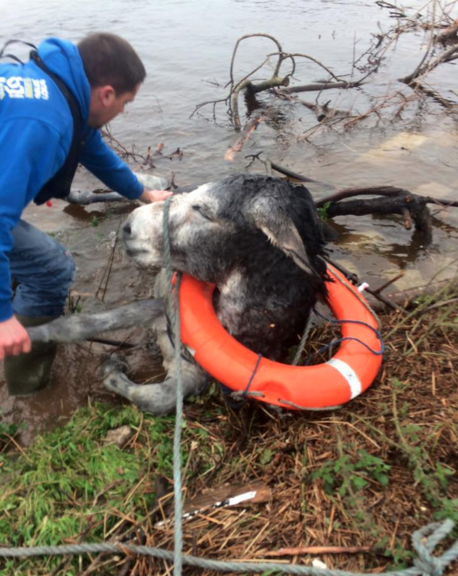 Using a traditional Life Preserver ring and a lot of rope, the team worked together to eventually “lasso” the donkey and safely bring him to shore. 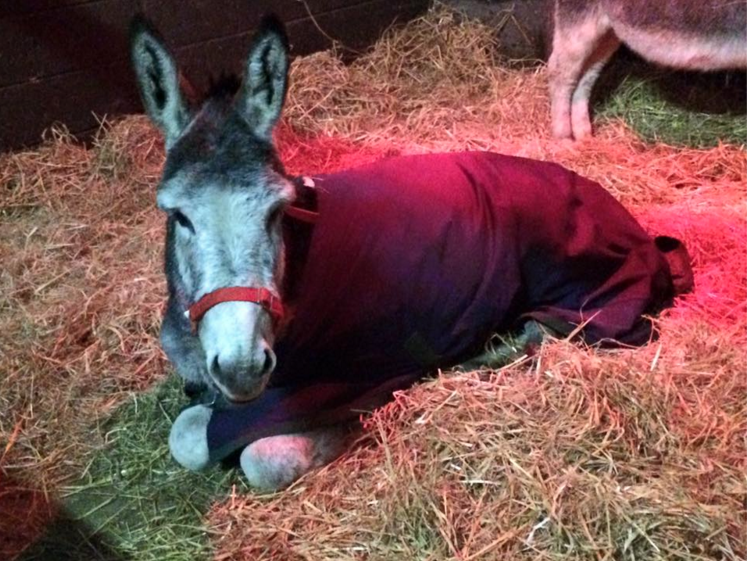 Since his rescue, the donkey, named “Mike” after his rescuer, has gotten plenty of TLC. 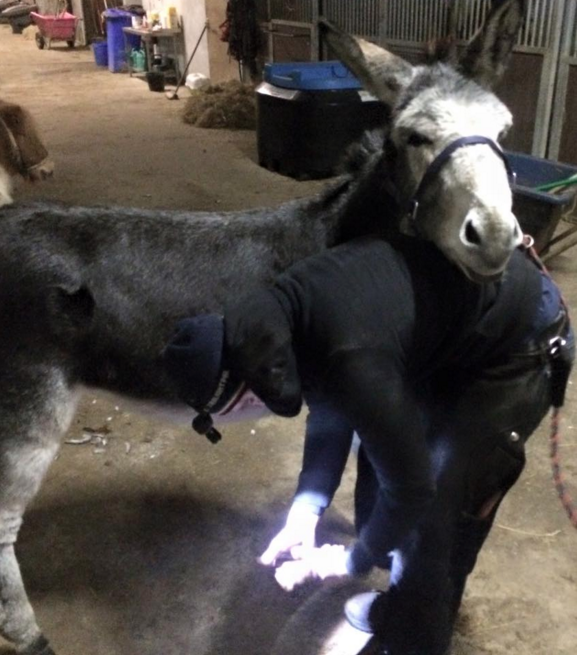 Since his brush with Storm Desmond and the daring rescue from (human) Mike Fleming and Suzanne Gibbons at AHAR, (donkey) Mike has been become quite the star. He’s appeared on news shows, had countless visitors and even did a Skype interview from his stall! Mike Teaches Us to Keep on Smiling! A special thanks to all those out there who are brave enough to help out animals in their times of need. 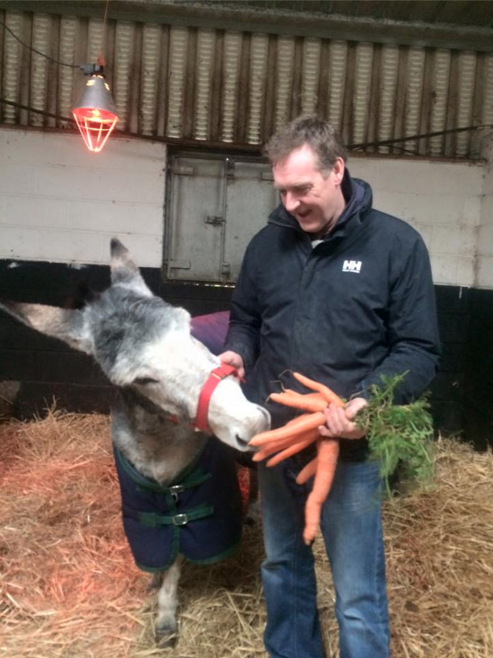 Despite all the trauma of the ordeal, Mike shows us that there’s still a lot to to be happy about!